Told her maid Richard medical treatment would be too expensive. 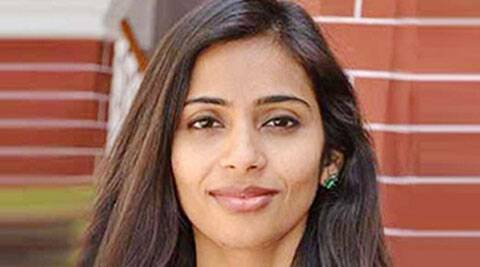 Indian diplomat Devyani Khobragade had told her domestic help, Sangeeta Richard, not to fall ill since getting medical treatment for her in New York would be expensive, according to papers filed by US attorney Preet Bharara in a New York court to indict her. The maid was made to work for extremely long hours and without a single entire day off, according to the indictment filed against Khobragade, which was made public Wednesday. After two months, she was allowed to visit the church on Sunday, but had to cook all meals before going and had to work till 10 pm after returning, it stated. It further stated that Khobragade made the domestic help work up to 100 or more hours per week which, based on the promised salary of $573 per month, would result in an actual hourly wage of $1.42 per hour or less. Khobragade, meanwhile, has asked the court to dismiss her indictment against her and terminate any “open” arrest warrants in the visa fraud case, arguing that she was “cloaked” in diplomatic immunity and cannot face criminal prosecution in the US. The indictment also stated that Khobragade did not give the victim any holidays or sick leave. “Indeed, on two occasions when the victim became ill, the victim was not given a sick day. On one occasion, the victim had to ask to see a doctor several times before Khobragade relented. Khobragade told the victim not to get sick because it was expensive,” it said. “For approximately the first two months of the victim’s employment, the victim worked seven days a week. Khobragade told the victim that she would not have any days off because the victim was paid Rs 30,000 per month, which covered overtime hours. After about two months, the victim requested to be given some time off on Sundays to attend church. Khobragade permitted the victim to take time off on Sundays approximately from 10.30 am to 5.30 or 6.30 pm, only on days when Khobragade’s husband was home. On those instances, the victim was required to prepare all meals for Sundays in advance, and on Sundays when the victim returned to the Khobragade US residence, the victim was required to work until 9.30 or 10 pm,” the indictment paper said. “Beginning in or about February 2013, the victim told Khobragade on several occasions that the victim wished to end her employment and return to India, because the victim felt she was being mistreated. Khobragade denied her requests,” it said. The US authorities accused Khobragade of helping the domestic help in submitting fake documents to the US State Department, saying that she was paying $4,500 per month, when in reality, the domestic help got only $573 a month. Khobragade had hired Richard in 2012 and she was working as a babysitter and domestic help at her house in the upscale Manhattan area of New York till last June.